VISIA: Do you know your skin’s True Age? Introducing VISIA, a top-of-the-line facial imaging system that will give you a complete 3-D visual of your skin. 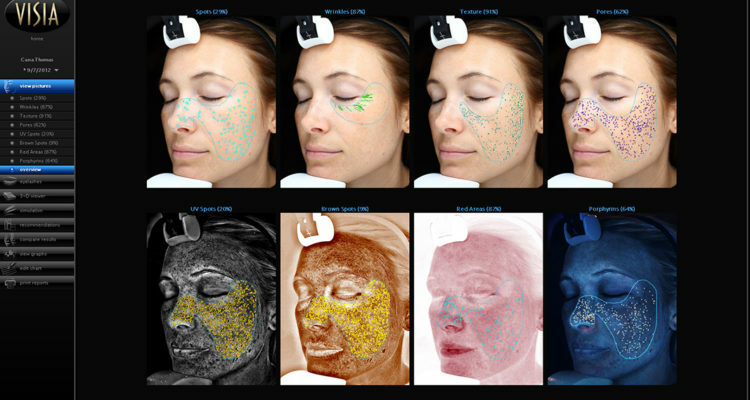 In a matter of minutes, VISIA analyzes spots, wrinkles, texture, pores, red areas and more. See detailed images, side-by-side comparisons, and learn your TruSkin Age®! We can even show you how your skin will look as it ages and what you can do about it. Those results help us create a customize treatment plan for skin rejuvenation and ongoing skin care. After treatment, VISIA can also be used to measure progress, so you can see how your skin has improved. Schedule your complimentary skin consult with VISIA Complexion Analysis now. Call (281) 698-8770 or fill out the form below to get started.